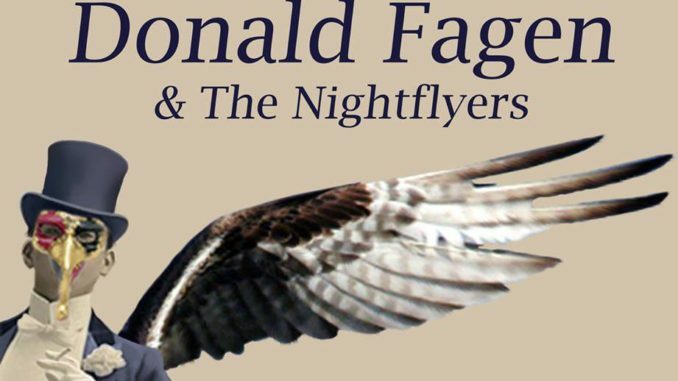 Donald Fagen – composer, producer, singer, Rock & Roll Hall of Famer, and co-founder of Steely Dan and The Dukes of September has a special project taking to the road this summer – Donald Fagen and The Nightflyers. The tour which started in early August at the Capitol Theatre in Port Chester, NY found Donald and company flying high in Nashville, Tennessee on August 20, 2017 – the eve of the Great American Eclipse. Joining Fagen (keyboard, vocals) is an all new band – the Nightflyers – a quartet of young musicians that Donald has been working with over the past few years near his home in Woodstock, NY. The Nightflyers are Connor Kennedy (guitar, vocals), Lee Falco (drums, vocals), Brandon Morrison (bass, vocals) and Will Bryant (keyboards, vocals). Previously, the foursome have been performing together in haunts, joints, dives, and even a few reputable establishments, up and down New York’s Hudson River Valley and beyond. Donald with his talented team were warmly welcomed as they took the Symphony stage at 8:20 pm. Fagen armed with a melodica led the group through a colorful version of “Green Flower Street”. He greeted the audience as he took his seat at the piano for a funky “New Frontier”. Throughout the night lighting was used to enhance the mood of the songs but in most cases Donald let the music speak for itself. “Hey Nineteen” was well received as was the title track from Nightfly which was Fagen’s 1980’s debut solo album with many of the songs reflecting the cautiously optimistic mood of his suburban childhood in the late 1950s and early 1960s. The certified platinum record touched upon such topics as late-night jazz disc jockeys, fallout shelters, and tropical vacations. A four pack of Steel Dan songs had the band soaring on “Bad Sneakers”, “Kid Charlemagne”, “FM (No Static at All) and “Time Out of Mind”. Before the next tune Donald reminisced about Levon Helm’s “Midnight Rambles” in Woodstock which inspired them to present their own expansive and experimental cover of the Grateful Dead’s “Shakedown Street” (surprise). Back to Steely Dan with a hit that Donald jested was from the Bronze Age – “Dirty Work” is still a timeless tune as were other Steely Dan classics such as “Black Friday”, “Peg” and “Josie”. The band took some liberty with the catalogue adding their own signature solos to the mix. Mentioning the big moon event coming Monday the group performed “Countermoon”. 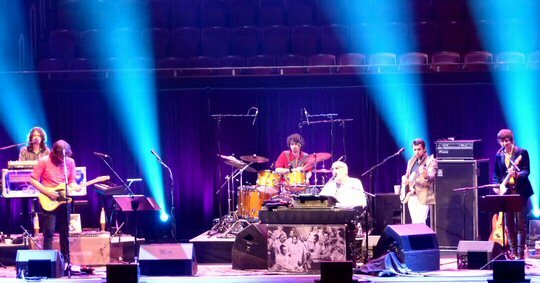 The set closed with more Steely Dan material including the engaging encore of “Reelin’ in the Years”. 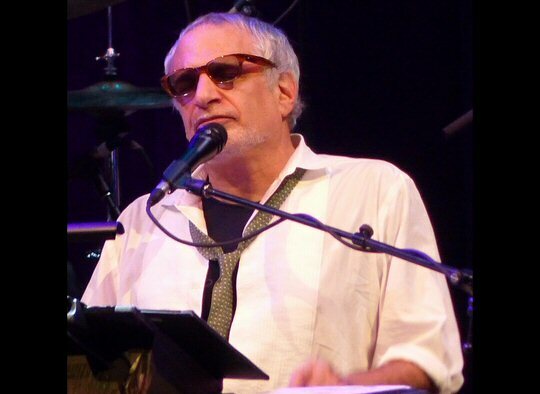 Donald Fagen and the Nightfliers played with steely resolve as they presented Donald’s career spanning set. The stars were in line for Fagen as well as an up and coming artist named Adron. Fagen discovered this songstress in Atlanta, Georgia. He asked her to open for him there and liked her so much that he invited Adron to play in Tennessee as well. 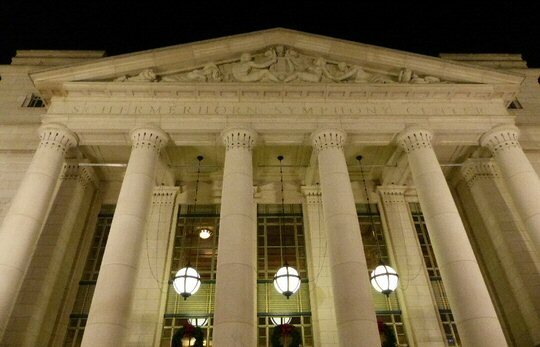 So Adron’s first gig ever in Nashville was at the prestigious Nashville Symphony. One can see why Fagen took note of this animated singer who presented a fine set of quality yet quirky songs about her relationship woes.